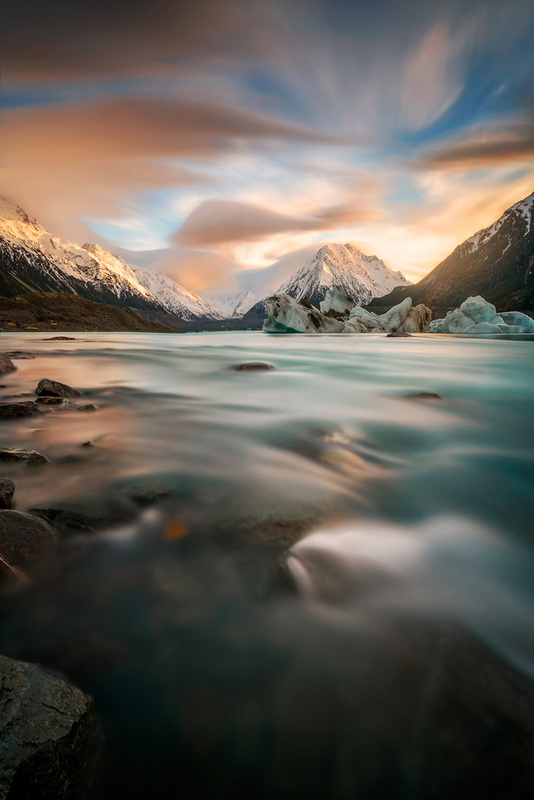 Tasman Lake | This is taken in New Zealand South Island and to the left is Mount Cook. We had average weather for the past week and was beginning to feel that we were not going to get any decent sunrise / sunsets. Zigzag across the island numerous times and thought we give this location another crack. Was refreshing to witness this and wanted to incorporate the LE of the sky and movement of the water flow in the lake passing to the right of me as I balance myself on a small rock while trying to get as low as possible.